Raleigh – As summer vacations begin, you may be looking to book vacation rentals for your summer trips. Be careful as you make these reservations – scammers are ready with fake vacation rental ads to steal your money and leave you stranded on vacation. 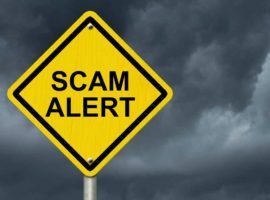 Scammers may place real homes on vacation rental sites without the consent of the homeowner, and change the contact and payment information to their own. They may also make up nonexistent properties and advertise them with great prices or amenities. Before you book a rental home for your trip, do your research. Don’t be rushed by time-limited offers, and be suspicious if prices are significantly cheap or below market value. Double check that the address exists and is available for rent. If you’re renting a vacation home in North Carolina for less than 90 days, you’re protected under the Vacation Rental Act. Your landlord or real estate broker is required to give you a written rental agreement that spells out each of your rights and obligations, agreed-upon payments, security deposit information, and any additional fees. Read this contract carefully before you sign – once you sign it, you’re required to abide by its terms. If you’re renting a vacation property outside of the state, contact that state’s Attorney General’s Office or consumer protection agency to learn more about your rights. If you’re having issues with your vacation rental or suspect a scam, file a complaint with us or call toll free within North Carolina at 1-877-5-NO-SCAM. If you rented the property through a real estate or property management company and have a complaint or question, contact the North Carolina Real Estate Commission at (919) 875-3700.